Bruce Lee in the house! Hosted by Tampa Humidor, the annual event is a come-one-come-all smokefest. 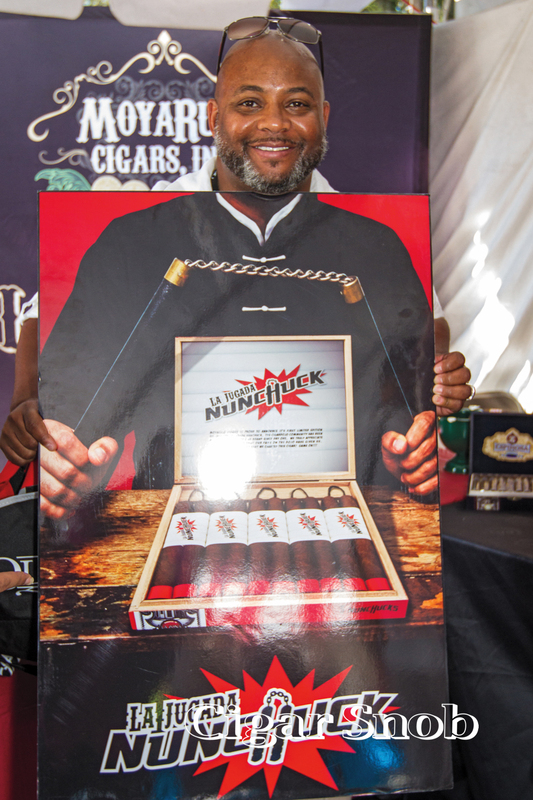 Attendees left with a generous haul of 30-40 cigars from a hefty list of brands including Romeo y Julieta, Kristoff, Fuente, Espinosa Cigars, Aging Room, and KUUTS. Prior to the event, there was a Friday night pre-party at Tampa Humidor featuring Rocky Patel. An exciting addition to the event was the mechanical bull, which was even more of a riot after everyone had a few drinks and cigars in them. While the day started out with gloomy weather, it turned out to be a perfect day for a herf.